Dr. Alexandra Ves is committed to providing excellence in dentistry, and stands out as a leading dentist in Clifton, Elmwood Park, Fair Lawn, Garfield and surrounding areas. The doctor uses the latest in dentistry techniques to provide you with a beautiful and healthy smile. Additionally, Dr. Alexandra Ves believes strongly in education to prevent oral health problems before they occur, and makes sure to keep patients fully informed about their dental health. 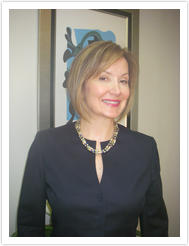 Read more about Clifton dentist Dr. Alexandra Ves below. Dr. Aleksandra Veselinovic graduated the University of Stomatology in Belgrade Serbia in 1988 where she studied and earned her Doctor’s Degree. She then moved to the USA and graduated from the New York University in 1995 where she obtained her Doctor of Dental Surgery Degree. After graduation she accomplished her one year residency in the US Army as a civilian dentist. In 1999 she opened her private practice in Clifton New Jersey and in 2004 relocated within town at her present address, where she has been working ever since. She is known to her patients as Dr. Ves. For her over 20 years experience in dentistry Dr. Ves says "Throughout years practicing in this profession, I came to realize how fortunate I am to have the privilege of changing people’s appearance and with that improving their lives by allowing them to gain more confidence both privately and socially.” Each patient is taken individually and given time to find out more about his/her lifestyle and needs so it can be custom tailored and provided with the best care possible. That is accomplished with both State of the Art Equipment and constant effort of attending Continuing Education Classes. The Doctor is also a proud member of ADA (American Dental Accociation) as well as NJDA (New Jersey Dental Association). Privately Dr. Ves is currently residing in Morris County with her family. Her hobbies are Cooking, Fitness and Pilates. The majority of Dental PPO Insurances accepted! Dr. Alexandra Ves is a family dentist and cosmetic dentist serving Clifton, Nutley, Montclair, Little Falls, Elmwood Park, Fair Lawn, Garfield and surrounding areas.